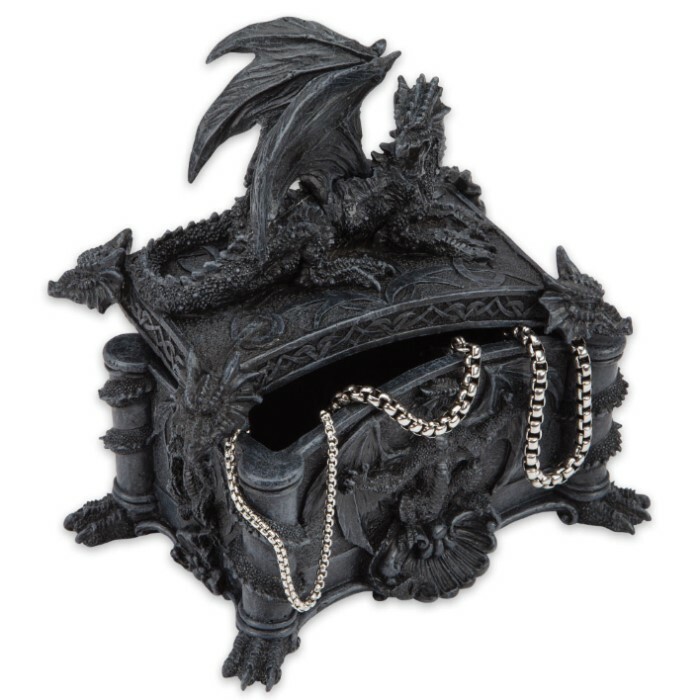 Dragon Guard Gothic Trinket Box | BUDK.com - Knives & Swords At The Lowest Prices! 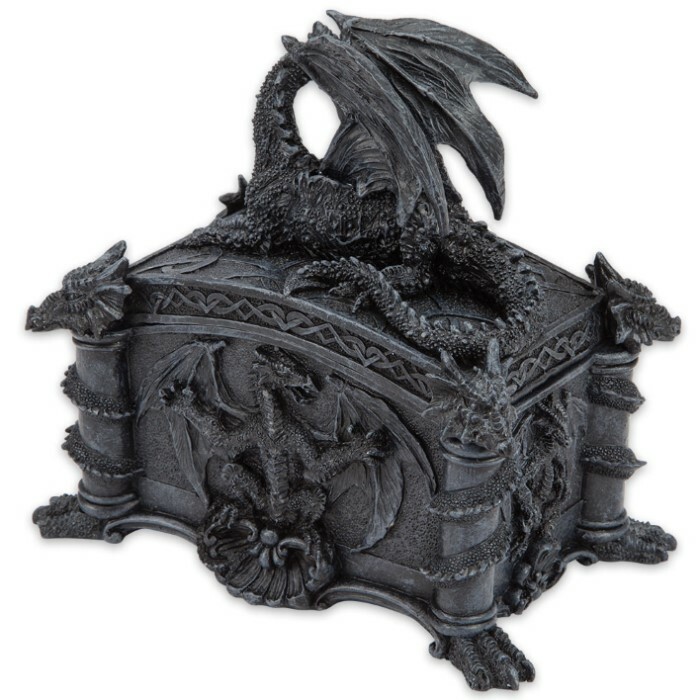 A reclining dragon alertly guards the lid of our Dragon Guard Gothic Trinket box. 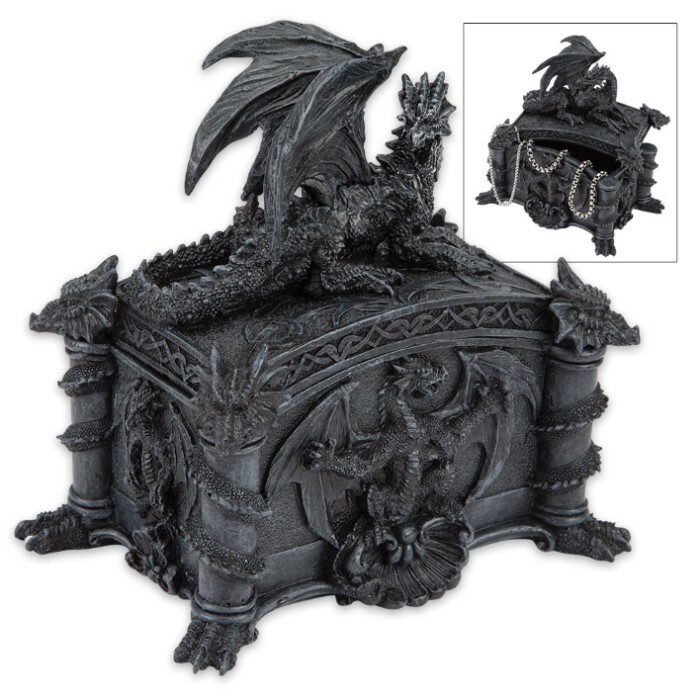 Expertly sculpted in polyresin, this intricately detailed, decorative box has the appearance of an actual ironwork piece. The Gothic inspired piece features dragon claw feet and a dragon head at each corner of the rectangular box and the figure of a dragon on each of the four sides. Fine quality and original design make our home decor collection stand above all others! For us dragon lovers, we know resin boxes are pricey. This $13 box is just as beautifully etched as the other brands and at half the cost (pricey Design Tuscano would be 3 times more expensive). The corner feet and corner dragon heads are my favorite features. The size is also nice, bigger than those small "trinket" boxes yet still looks great on your dresser.